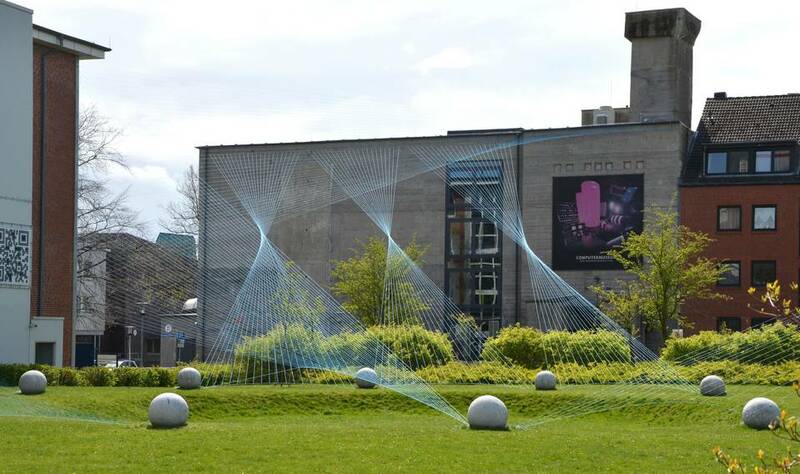 Take the ferry-bus to lectures, have lunch overlooking the water, enjoy a week of concerts, readings and exhibitions - the campus of the Kiel University of Applied Sciences is unusual, to say the least. The campus is bubbling with life. And campus life is colourful, almost as colourful as the roofs atop the large lecture theatre building. It is this very building which houses one of the gems of popular science and entertainment - the university's digital theatre. The digital theatre is much more than a mere planetarium. Every year it attracts thousands of visitors from Kiel and farther afield. And any special events happening in the sky such as lunar and solar eclipses can be viewed from the university's Observatory close by. The campus area is where industrial history was made: HDW once built ships here, Rudolf Hell invented the fax machine on this site, and it was from here that Albert Einstein departed on his famous sailing trip with the inventor of the gyroscopic compass Herrmann Anschütz-Kaempfe. Some buildings are still there to tell the tale even today. Cultural events on the campus have been given a new accent since the Bunker D opened its doors in autumn 2006. A so-called "Bunker-D week" has taken place in a renovated former factory air-raid shelter every year since then. This is organised by a volunteer Bunker-D team, consisting of students, lecturers and staff. And there is a further air-raid shelter on the campus which will be renovated to house the historical Computer Collection as of spring 2011. All of the above rely on their many volunteers to keep them running. And volunteers are also very important to other areas of campus life. For example, for the past 17 years a voluntary team of students has organised the Careers Day Fair which is traditionally held on the first Wednesday in November and which has long become the largest higher education fair of its kind in the north of Germany.